On June 7th, Apple announced its long awaited WebRTC browser support for the upcoming Safari 11 for macOS and Safari for iOS 11. The announcement brings Safari to the WebRTC browser ecosystem, joining the likes of Chrome, Firefox and Opera. This update continues to strengthen the WebRTC world as all the most popular mobile and desktop browsers now have WebRTC support. 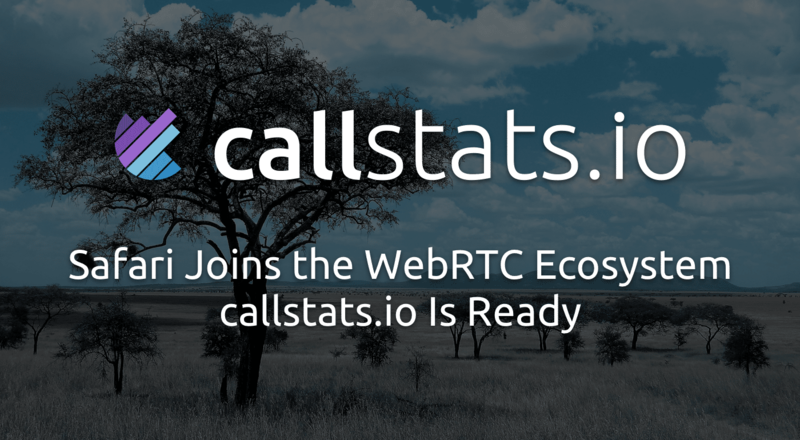 We are happy to share that callstats.io already works with Safari 11. 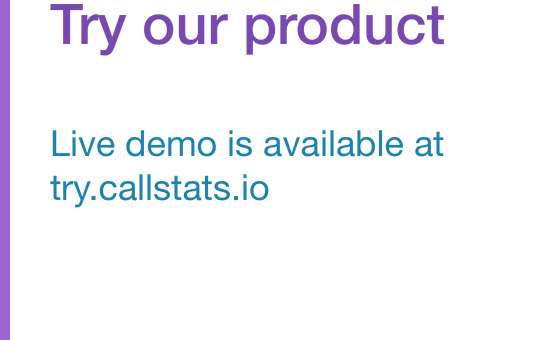 It required minor updates to the processing pipeline and we were done. The screenshots above show that Safari interoperates (for example on AppRTC, amongst other apps) with other browsers (e.g., Chrome and Firefox). The video in Safari is however encoded only in H.264 and there is no VP8 support. The lack of VP8 support in the Safari Preview 32 is unfortunate because it forces the infrastructure providers to make changes to support both codecs. Especially since Video Guidelines for WebRTC mandates the implementation of both codecs. WebRTC Browsers MUST implement the VP8 video codec as described in RFC6386 and H.264 Constrained Baseline as described in H264. We are hopefull that Safari will improve its WebRTC interoperability by the time it officially releases Safari 11. Meanwhile, we (and the community) rejoice that all major browser platforms support WebRTC. However, it remains to be seen, what impact Apple’s new announcements have in the uptake of WebRTC in the forthcoming quarters. If you are interested, in learning more about the evolution of WebRTC, you should read our quarterly WebRTC reports, the next one will be out in July!